A former MBTA police officer who allegedly beat a homeless man and two sergeants accused of helping him cover it up faced a judge in Boston Tuesday. A former MBTA police officer who allegedly beat a homeless man and two sergeants accused of helping him cover it up faced a judge in Boston Tuesday. All three men charged pleaded not guilty. Now retired Transit Police Officer Dorston Bartlett, 65, of Lynn, is charged with assault and battery with a dangerous weapon and violating a person's civil rights. Prosecutors said he used his baton to strike a 32-year-old homeless man multiple times at Ashmont station in Boston's Dorchester neighborhood last summer. "This use of force was entirely unnecessary, unjustified and unreasonable," Assistant District Attorney Andrew Doherty said in court. Authorities say the alleged victim, Anthony Watson, tried to report to Boston Police what happened outside the station, but Bartlett followed and assaulted him again. A former MBTA transit officer is accused of attacking a homeless man, and two of his superiors are accused of covering it up. "Officer Bartlett grabbed Watson by the face and neck area and shoved him over even though he was in handcuffs at that time," Doherty said. 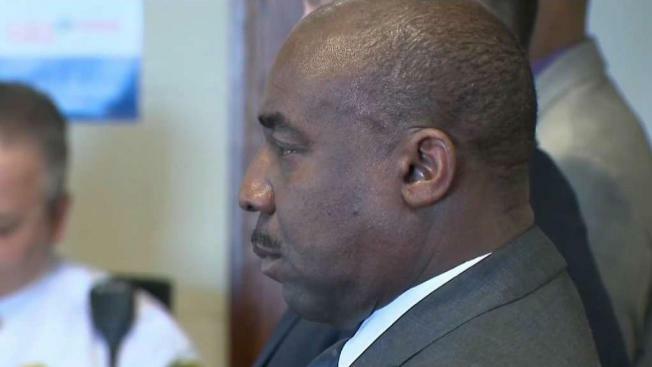 Bartlett is also charged with misleading a police officer for allegedly giving false statements to two Boston Police officers who later responded to the scene, as well as assault and battery for allegedly grabbing and pushing the victim during the booking process. Prosecutors said Bartlett's superiors also took steps to cover up the incident in order to justify the use of force that was caught on cameras inside the station. Sgt. David Finnerty, 43, of Rutland, and Sgt. Kenny Orcel, 55, of Chelmsford, were arraigned on charges of making a false report as a public officer or employee. Both pleaded not guilty and are on leave without pay. Orcel's defense attorney, Douglas Louison, denied any wrongdoing on behalf of his client. He also said controlling the homeless population on the trains is a problem that needs to be addressed. "Unfortunately, the homeless situation has been dropped on the laps of the patrol division and it creates some problems for everyone involved," Louison said. "The train should not be a place to sleep." The Superintendent of the Transit Police, Richard Sullivan, could not comment on the case, but defended his department as a whole when it comes to dealing with the homeless. 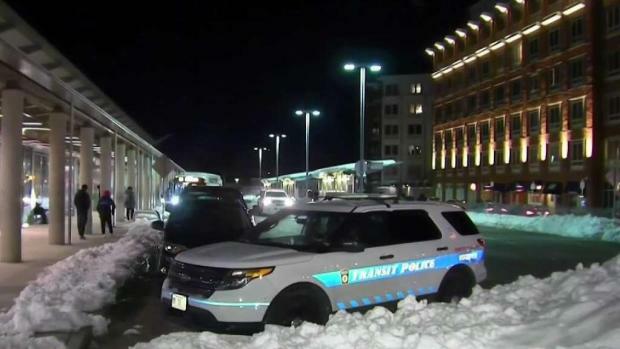 "Transit police officers day in and day out perform fantastic acts of kindness to people who identify as homeless so I don’t think this speaks to the larger issue," Sullivan said. All three men charged were ordered to stay away from the alleged victim and released on personal recognizance. The next hearing in the case is set for April 10.